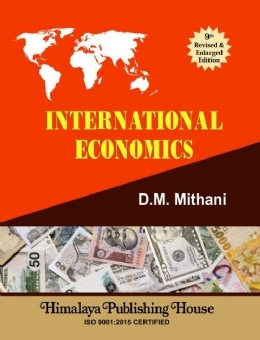 This volume on International Economics is revised in seeking to explore the economic analysis incisively applied to examine the global economic events and the exciting dynamism of new economic order of the foreign trade and finance in the fast changing world of the 21st Century. In the globalising process of the world economy today, foreign trade and investments are growing faster than the production along with rising capital flows in these days of revolutionary information and communication technology. There is an increasing trend of national economic integration and interdependence, projects and policies tied together in achieving the common goals in the gamut of shifts from competition to contacts and collaboration. In this edition, the book has been thoroughly revised and recast to incorporate a broader range of events and analysis more rigorously in an updated manner to facilitate the reader to have a better comprehension and improved ability to understand the development in the global economic fields. It is more data-oriented and research-based in its synthesisation of ideas and analysis. This edition also incorporates several relevant case studies for the benefits of the reader and purposeful classroom discussions and pragmatic courses at the graduate and undergraduate levels of studies in India and abroad.